**UPDATE: The sweepstakes is now closed. We'll be reaching out to our winners shortly. Please continue to submit your questions for Larry and remember that copies of his new ebook, "The Upper Core Swing, The New Revolution" are still available at LarryRinker.com. Summer officially kicked off at 6:07 AM yesterday. Great news for all of us north of the equator, because now we have more hours of daylight on the golf course than at any other time during the year. It's also a perfect time to take stock in our games. Are you seeing the improvements to your swing and scores that you hoped for? Are you on track with the goals you set at the beginning of the season? Well, if you're still looking for some answers, we have some great news, because we recently heard from Titleist Staff Member Larry Rinker, a 37-year PGA Tour Veteran who has turned his attention to instruction. 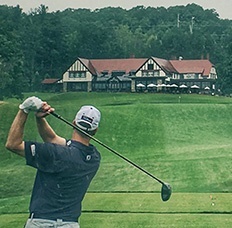 Larry has published a new interactive ebook titled "The Upper Core Swing, The New Revolution" and in it, he shares some eye-opening research that has guided a new way of helping golfers find their own natural swings. We're extremely proud of our affiliation with staff members like Larry and though Titleist does not endorse any particular instructional philosophy or methodology, we hope you'll visit LarryRinker.com, where you can view some great tips from Larry and purchase a copy of "The Upper Core Swing" as well as a new edition of his first ebook, "Rinker's 5 Fundamentals". We recently caught up with Larry to learn more about his life in golf, the basis for his teachings and the inspiration behind "The Upper Core Swing". We hope you enjoy our conversation below. Larry has been kind enough to provide three copies of his new ebook,"The Upper Core Swing, The New Revolution" to give away to three lucky members of Team Titleist. HERE’S HOW TO ENTER - PLEASE READ CAREFULLY: Add a comment in the box below in the form of a short game question for Larry, then hit the "Submit Reply" button. Sample entry: "Larry, how do I hit a draw?" We’ll randomly select three (3) winners from all approved entries that are submitted by Friday, June 29 at 11:59 PM. A few more important details... Only one entry per person. If you send in multiple replies, you'll be disqualified from the contest. Don't forget to include all of the details outlined above or your entry will not be considered eligible. After the drawing, Larry will respond to as many submitted questions as he can to help get our games on the right track for the rest of the season. Keep in mind, all posts are moderated and it may take some time for your reply to appear. We'll do our best to approve posts quickly but if you enter more than one reply, we have to disqualify you from the drawing (sorry to repeat this but we want to make sure it's clear). Team Titleist (TT): Larry, how did you get your start in golf? Larry Rinker (LR): I got started because of my father, Laine Rinker. He was really the person that had the passion and the love for the game. He was a flower farmer but he just loved golf and ended up teaching golf later in his life. He never was a PGA pro but really loved studying the game and he really inspired not only myself but my sister, Laurie, and my brother, Lee, to go on and play golf at the highest level. Back in those days, you could get a membership in Martin County Country Club - I think it was $15 a year. So I was hanging out at the golf course all day, and it was a pretty good life and growing up in Stuart, Florida. 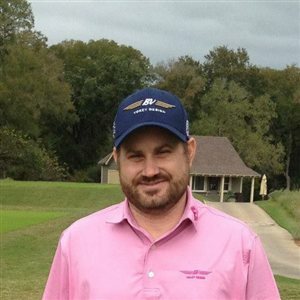 I had one of my kidneys removed when I was six, so that eliminated the other sports for me to play, so golf was the one that I chose to pursue. (TT): You mentioned Laurie. You and your sister teamed up to win the 1985 JC Penney. That had to have been a cool moment. LR: That was definitely a highlight of my career. My brother, Lee, caddied for Laurie. My mom and dad were there all week, and that was a year I finished 30th on the money list. Laurie was something like 16th on the LPGA Tour. We beat a lot of hall of famers that week, whether it was Greg Norman or Curtis Strange or Nancy Lopez or Betsy King. Tom Kite played with Beth Daniel. So a lot of great players played, and for us to beat them and win that tournament was awesome. And it basically gave me membership on the PGA Tour for life, which was something pretty special. (TT): Did you and your brothers and sister push each other growing up? LR: Yeah, we were hard on each other. I broke Laurie's leg one time. We were playing flag football. I couldn't get to her, so I tripped her. She ended up falling, hitting some concrete and broke her leg. But we had competitions all the time. We had a lot of fun growing up. 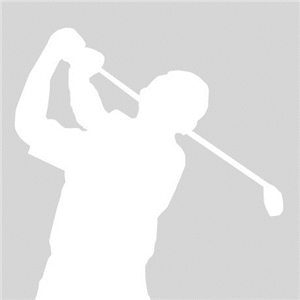 (TT): When did you know that you had the game to make it on the PGA Tour? LR: It was really 1980, my second year of playing mini tour golf. I played through college. I was an honorable mention All American one year at Florida, but nothing that you would say, "Okay, this guy's going to play the Tour." But that second year playing the mini tours, I won six times. I was mini tour player of the year and it was like, "I think I've got the game to play at the next level." I ended up missing my card by a shot at the Q-School finals in 1980, the year that Freddie Couples and Mark O'Meara made it. And I shot 78 that first round with 39 putts. So it kind of was like, okay, it's not a dream anymore. I really have the game to be able to at least qualify for the tour. And then the next year, in the spring of 1981, I qualified for the Tour. To step on the big stage and be able to play with the greats, it's a whole different game - you're in The Show. And I was fortunate that I played well enough to stay in the league a long time. So really feel great that I had a long career. (TT): When you were coming up, how heavily did you rely on instruction yourself? LR: I had a guy when I was 15 or 16 that I started working with named Mike Skevington, and he helped me and my college coach helped. My dad was always giving his two cents, too. But it was really when my dad took Lee, Laurie and me to see Bob Toski in 1976 that I really started becoming a student of the game. Bob had played on the Tour and he started the Golf Digest schools in the early 70s, so he was really kind of like me now, where he's really into teaching plus he had the playing background. He was that person we needed, the Yoda, the person that everybody needs to help you take it to the next level. I probably would have had a better career if I would have stayed with Toski the whole time, but I ended up working with some other teachers. It's just common on Tour. If you're not playing well, you look for answers elsewhere. As it ended up, I really needed to go back to what I learned and the way I played the game with Bob Toski, which is really similar to what is in "The Upper Core Swing". (TT): Perfect segue! Tell us about Wright Balance and writing "The Upper Core Swing". LR: I hosted a seminar here at the Ritz Carlton Golf Club Orlando and one of the speakers was Dr. David Wright, who had done extensive research on athletes, including golfers. That led to his developing a model for improving performance based on the different ways that we move, create power and find balance. So I started studying it. It was perfect timing because I had already kind of turned a corner on my golf game. I had gone away from trying to clear my hips and turn my body and started to play more with my arms, hands, and wrists, which was what I had learned to do from Bob Toski. I was starting to play better, but when I met Doc Wright, I learned why. His work taught me that if you're an Upper Core player, these are the characteristics of your swing. If you're Middle Core, these are the characteristics and if you're Lower Core, here's what natural for you and some of the different characteristics of your swing. So all of the sudden, there was this semblance and an order to how things worked. I had some scientific basis that showed it's okay for me to have these swing characteristics because I fall into the Upper Core category, which requires a different approach than the standard teaching I had received - which is predominantly for a Middle Core swing. So I started measuring golfers using Doc Wright's methods and now, some 22 months later, I've measured over 400 people. And more than 80% of them have been Upper Core. (TT): So, when you talk about Upper, Middle, and Lower Core, are these different body types? LR: The model identifies how and from where a player naturally generates power. When we talk about Core, we're talking about three distinct regions, from the pelvic floor all the way up to the roof of your mouth. An Upper Core player is strongest in the upper region, from the bottom of the sternum to the roof of the mouth. They're strongest in their arms and shoulders and their golf swings benefit from an arms and hands release of the golf club. A Lower Core player, their strength is going to be more in their pelvis, their hips. So that's why you see a Lower Core player like a Ben Hogan extremely rotated with his lower body at impact. With me being upper core, I'm not using my lower body in a rotary sense, like Hogan did. I use the ground more in verticals, in jumping. So there's different ways we release the club and different ways that we use the ground, depending on if we're Upper, Middle, or Lower Core. And then the Middle Core player is the hybrid. They are in between the Lower and the Upper Core player. They're strongest from about the navel to the sternum and they have what you'd consider a classic, model swing, like an Adam Scott. (TT): So if 80% of people you've measured are Upper Core, should the majority of golfers be swinging differently than they're being taught? LR: A lot of "traditional" teaching out there is Middle Core and the people aren't getting better, just like what happened to me when I was playing on the Tour. I was trying to fit into a Middle Core model and it didn't work and ended up knocking me off the Tour. I couldn't drive the ball in the fairway and I lost distance and really lost my instinct for how to hit the ball. Still world class inside 100 yards, but I lost my long game. Now, all of the sudden, I'm seeing all these Upper Core people and then just one day it dawned on me I need to write this book, because most of my students are that, and hey, I need to get this out. I really think what Doc Wright has done is going to transform the way we teach golf, because we have a way to measure people physiologically and now we can coach into what works for them. It's always music to my ears when people say, "My swing feels more natural." What we're really doing is getting people set up with the right stance and ball position for them, the right posture, correct grip to promote a more natural swing so people can enjoy and play golf better. (TT): Where can golfers get measured? LR: There are over fifty fitters now in the United States. They can go to www.wrightbalance.com and in the bottom left you can click on and find a fitter. (TT): Is the ebook just for Upper Core golfers? LR: No, I focus heavily on Upper Core in the ebook, because so many golfers fall into this end of the spectrum, but we cover every type of golfer in the Wright Balance model. The ebook also includes lots of video content that helps illustrate some of the main points. But I do believe as we get older, we'll tend to move up in the core region. So if you were a Middle Core player at 25 or 30, at 60 you might need to use your arms, hands, and wrists a little more and you're not going to be able to turn as much through the ball. I think we all progress towards Upper Core as we age. (TT): What do you hope golfers will take away from reading "The Upper Core, The New Revolution"? LR: I hope the ebook gives golfers a simpler route to getting better and enjoying their time on the course. I've seen so many golfers struggling, trying to do what their bodies just can't do. Once you identify yourself as Upper Core, Middle Core or Lower Core, you're on the road to getting the most out of yourself. You can start swinging naturally. 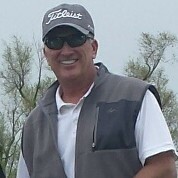 ABOUT LARRY: Larry Rinker is currently the Director of Instruction at both The Ritz-Carlton Golf Club, Orlando at Grande Lakes October-May, and at the Red Sky Golf Academy in Wolcott, Colorado just west of Vail, June-September. Larry is a 37-year PGA Tour Veteran Member, 33-year Member of the PGA of America, and a SiriusXM Radio Host for "Rinker's Golf Tips", a live call in golf instruction show Saturday/Sundays 9-10amET on SiriusXM PGA Tour Radio, Sirius208 XM92. How do you hit the low spinner? Tyler, to hit a low spinner, first off you need to de-loft the sand wedge with the shaft leaning quite a bit forward at address. Secondly you have to have a steep angle of attack, so you will want to hinge the club up on the back swing, so that you can release and hit down on the golf ball. Playing the ball back in your stance, off of your trail foot, helps this. Have to hit the ball first in this shot because with the shaft lean at impact there is no bounce in the sand wedge. What, if anything, is your last thought before your takeaway? I'm thinking about my forward swing and the shot I'm trying to execute. When you are chipping should your weight distribution always be toward your front side? Yes, I would agree with that. The weight in the front foot helps to be steeper not shallower into the ball. I tend to chunk a lot of chips from a tight lie with my 56* wedge; what are some good practice tips you could offer? I would go watch some videos on my Youtube page. Thanks. How do I keep my clubhead moving through a shot around the green instead of just stabbing at the ball? Need to throw the club head more with the trail arm. I would go watch some videos on my Youtube page. Thanks. How do you stop cutting across the ball with the left arm? Go watch the video on my Youtube page for the Upper Core Player. What is method to discover your "coreness?" WrightBalance.com. We have a system to find out what your dominant core region is. Do you use different ball positions on various short game shots? Yes I do depending on trajectory. That's a hard shot to do but would definitely use the lob wedge with less bounce for that shot. How to use practice or alignment sticks effectively. Many ways to use them. In Rinker's 5 Fundamentals I go over how I use them. Larry what are your fundamentals for crisp accurate chipping? I use the Runyan method which is what I call a putt-chip. How to consistently make chips close to the pin . 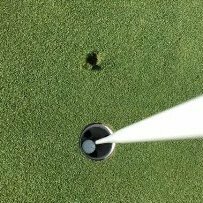 I use the Runyan method which is what I call a putt-chip. Check out Rinker's 5 Fundamentals for an in-depth look. 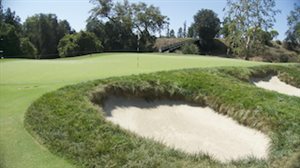 How do you vary distances on greenside bunker shots? Find the fall line of the entire green first. Then separate the green into sections and find the fall line there. Good info on the change to upper core as we age. Thanks! Are you still playing the guitar in a band? Talented guy . . . Thanks. Yes, just finishing my second online course at the Berklee School of music. Play lead guitar most Sundays at The Vail Church. How do you start the downswing if you are an Upper Core Player? With a lateral shift to your front foot. How can we amateurs who often need to play quick rounds sufficiently read the green without reading from every direction like many tour players do? Good memory plays a big part in reading greens. 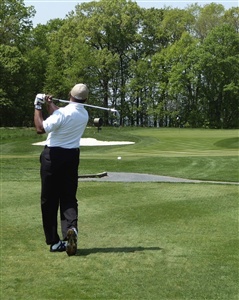 The best look is behind the ball and next best is to the side half way in-between the ball and the hole. how can I get the lead wrist flat at impact and stop flipping? That position is way over taught and upper core players do not do that. Their lead wrist is going into extension before impact. Larry, how do I prevent chunking it in tall grass around the green? Have to get the ball more forward in the stance with less forward shaft lean. From there, throw it with the trail arm and hand. "Larry, how do I hit a draw?" Hit the ball in the center of the club face with the club face closed to the path of the club.